While the Japanese and even the Chinese have made huge improvements in the quality and styling of their watches over the years, many longtime watch collectors still prefer Swiss watches over just about anything else. The Swiss do have a reputation for quality, they’ve been making watches for a long time, and the phrase “Swiss made” still carries a lot of weight in the wristwatch industry. If you’re one of those people who just love Swiss watches, you’ll certainly like Chronoswiss watches. 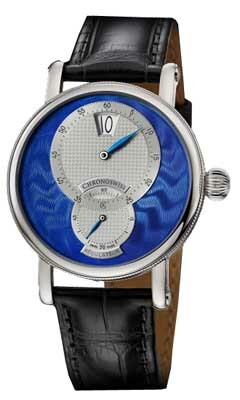 The company is relatively new; they were founded in 1983 by master watchmaker Gerd-Rüdiger Lang. Currently owned by Oliver and Eva Maria Ebstein in Lucern, Switzerland, the company is still independent and has managed to avoid being swept up in the consolidation that seems to have run rampant throughout the industry in recent years. These watches feature terrific styling, good build quality, and all-Swiss parts. They’re not inexpensive, but if you truly value quality watchmaking, you’ll want to give this brand a look. Read on for the full Chronoswiss watches review. The build quality is exceptionally good; cases are made from stainless steel and/or rose gold. Watch faces (and case backs on some models) are protected by rock-hard sapphire crystal. Water resistance for most models is 30 meters. Straps are either leather or stainless steel. If you like wristwatches with quartz electronic movements, you’ll have to look elsewhere, because all models feature automatic (self-winding) mechanical movements in their timepieces. As with all of the parts used in their watches, the movements used are sourced from Swiss makers, as the rules for calling your product “Swiss made” are rather strict. There’s no real innovation, per se, in this brand; that is, they’re not inventing new features that you haven’t seen in other watches before. That’s not a bad thing; they do offer some complications aside from telling the time. You can find chronograph models, models that display the phases of the moon, date and day/date complications, and power reserve indicators in the product line. As these watches all feature mechanical movements, these features are necessarily more complex than they would be if the watches were powered by electronic movements. Fortunately, a number of models feature either skeleton faces or clear case backs, so that you can see the works inside. The company does have a few features that are uniquely their own, including their “onion” crown, which is knurled and shaped like an onion. Some models feature lugs that are screwed to the case, rather than molded. Designs range from the austere to the edgy. Colors favor silver and black, though there are a fwe models with blue and red faces. Case sizes fall in a relatively narrow range, from 34-44mm. The company features a number of chronographs in their product line, likely because the public just can’t seem to get enough of that particular style. Still, they offer a good variety of chronographs, including a couple of skeleton models, which look exceptionally busy to the eye. 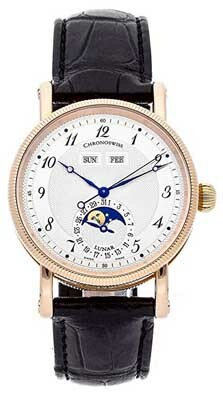 We haven’t noticed any women’s models in the Chronoswiss watches line; they all seem to be models for men, and that seems to apply to all 60+ models that are currently available. We haven’t seen any models with gemstones, but they do offer a few models with rose gold cases and trim. As these are mechanical watches with (sometimes) elaborate movements, you will have to spend a bit more time on care than you might with a quartz-powered watch. The company recommends that you store your Chronoswiss watches in a watch winder, in order to ensure that they’re fully wound and ready to go when you want to wear them. You’ll want to store your watch in a cool, dry place, and keep them away from strong magnetic fields or extremes of temperature. The company recommends that you send your watch to them every 4-5 years for service, which will consist of cleaning the watch and examining the movement for worn parts. They’ll also verify that the watertight seals are still intact. With proper care, you should get decades of use from your Chronoswiss watches. The warranty offered with the purchase of Chronoswiss watches is the industry standard; you’ll receive a warranty of two years from the date of purchase against defects in materials and craftsmanship. These watches are well-tested at the factory, so defects are likely quite rare. 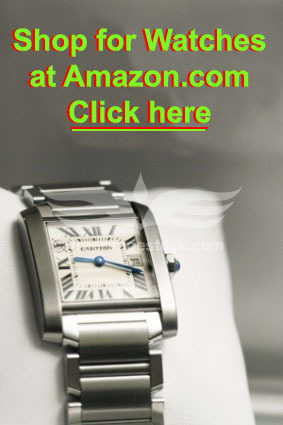 These watches, like many other Swiss-made brands, are not inexpensive. Quality timepieces with complications and mechanical movements are never cheap. Prices range from a low of about $2000 to a high of $18,000 or so. As the watches are made in Switzerland and priced in Swiss Francs (CHF), prices can vary slightly from one day to the next or one retailer to another. You can find the brand for sale at the company’s Website, and at a select few retailers around the world. There aren’t many; their map shows only one retailer in the United States. On the other hand, you can find them for sale at a number of online retailers; particularly those who sell higher end timepieces. There are advantages to shopping online, and one of them is that it’s your best opportunity to this brand at a discount. Online retailers have less overhead and can usually offer their timepieces for lower prices than brick and mortar stores. Quartz watches have their place, but there’s something to be said for a well-designed, well-crafted Swiss watch with a mechanical movement and mechanical complications. You’ll pay for that, but the quality is evident when you see this brand. These are well-made timepieces that will attract attention whenever you wear one. 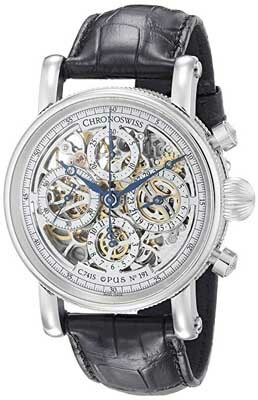 If you like skeleton models, transparent case backs, and rugged build quality, you’ll find that Chronoswiss watches can make a good choice for your watch collection.